Wicat holds great value in Women who give up their time to volunteer. Volunteering at Wicat could be painting a teaching room, clearing the garden area, general cleaning up of the workshop and teaching areas or delivering flyers and leaflets. We are very keen to hear from you if you've got some spare time throughout the year. Where does it all come from!! 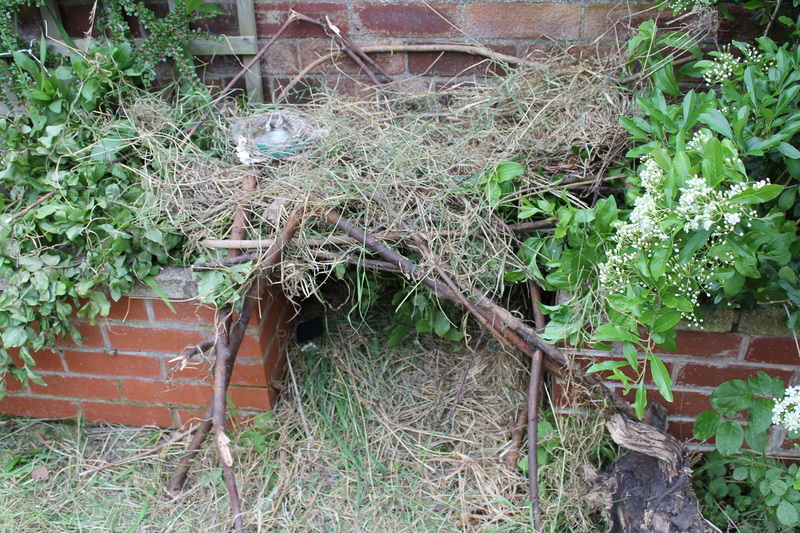 The 'Bug Hotel' the kids created! 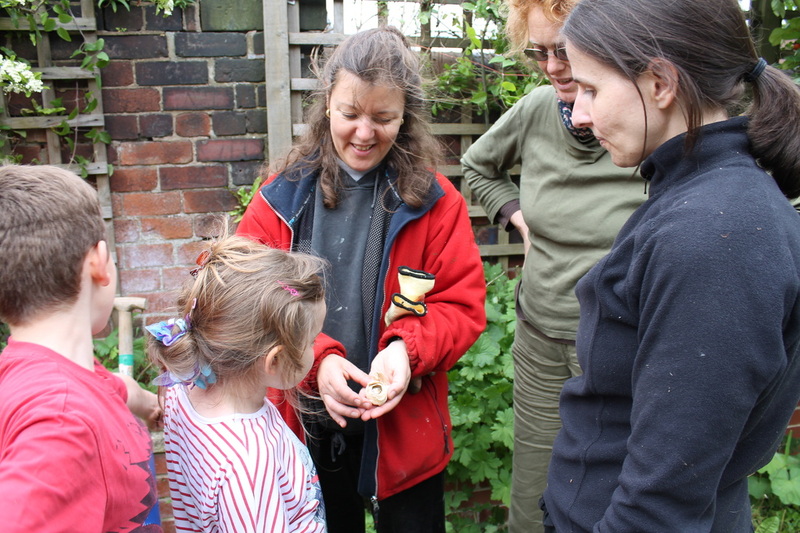 Saturday 31st May saw another great Volunteer Day at WiCAT. The weather stayed fine and even sunny! More than a dozen women, plus a few children, took part. 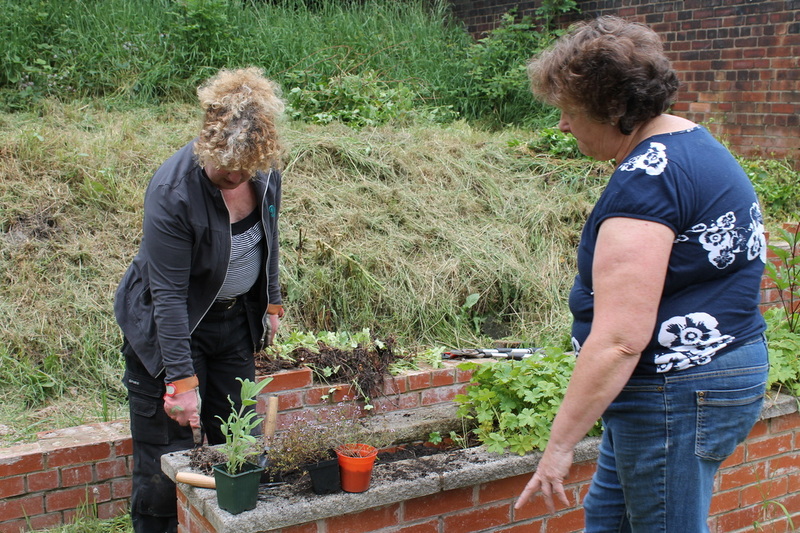 A lot of clearing took place in the garden and some fresh plants - herbs, currant bushes and strawberries - found new homes (thanks to Dot Rodman from Firth Park Community Allotments for donating them!). 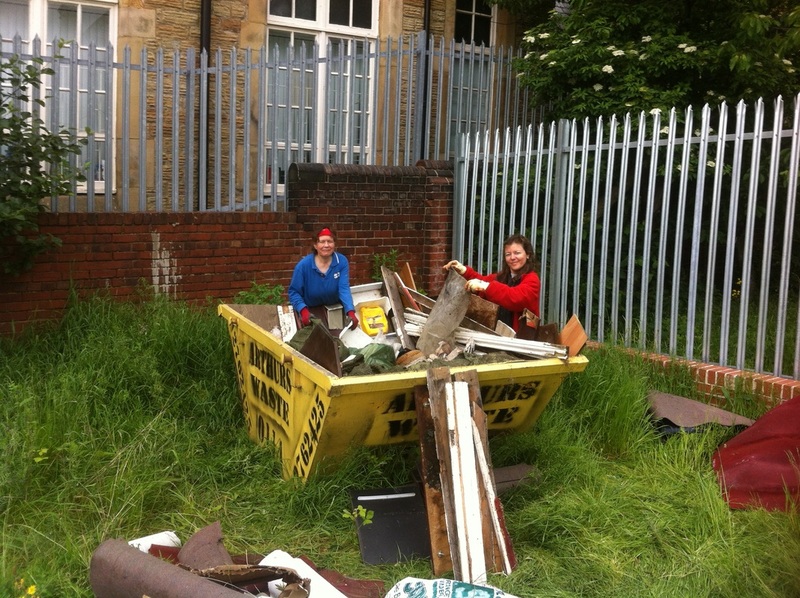 We also managed to fill a skip with general waste from inside the building, so a great clear up was had all round! 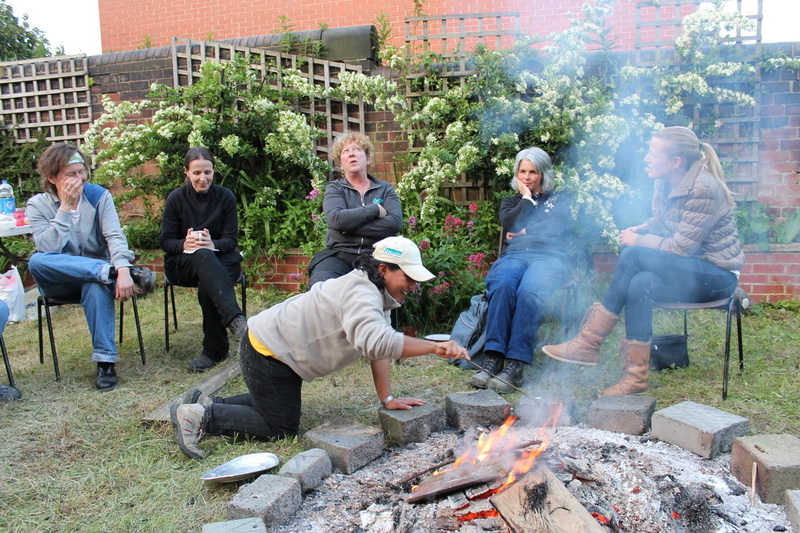 The day was rounded off with a bonfire and curry evening - tasty dishes brought in by volunteers were just what we needed after a hard days grafting! The women involved in the project had a great time and learnt valuable new skills which they are itching to put into practice at home too! Volunteers have a great time bricklaying! Two highly successful weekends took place at Wicat recently where volunteers came to learn and put into practice the skills of Bricklaying. 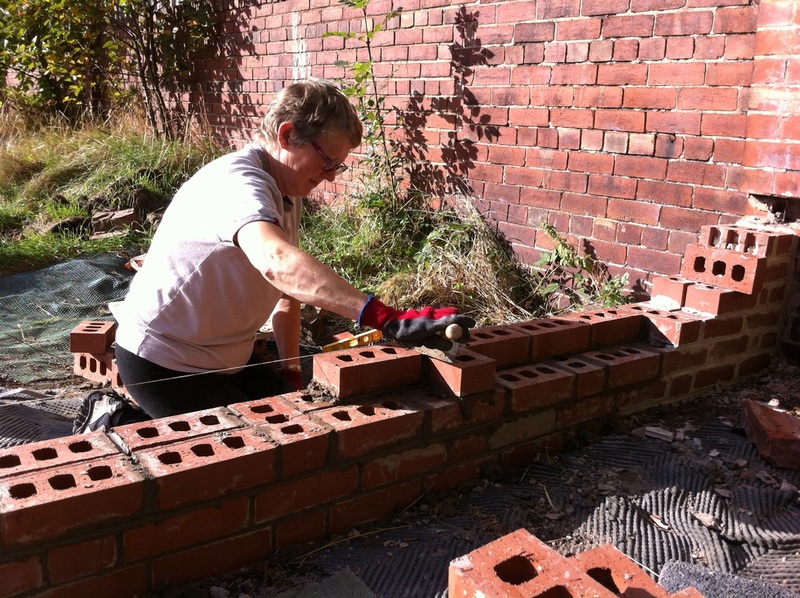 Led by our bricklaying tutor Tracy, more than a dozen women took part to help build a wall in the garden of the Women's Construction Centre and Hindu Samaj. 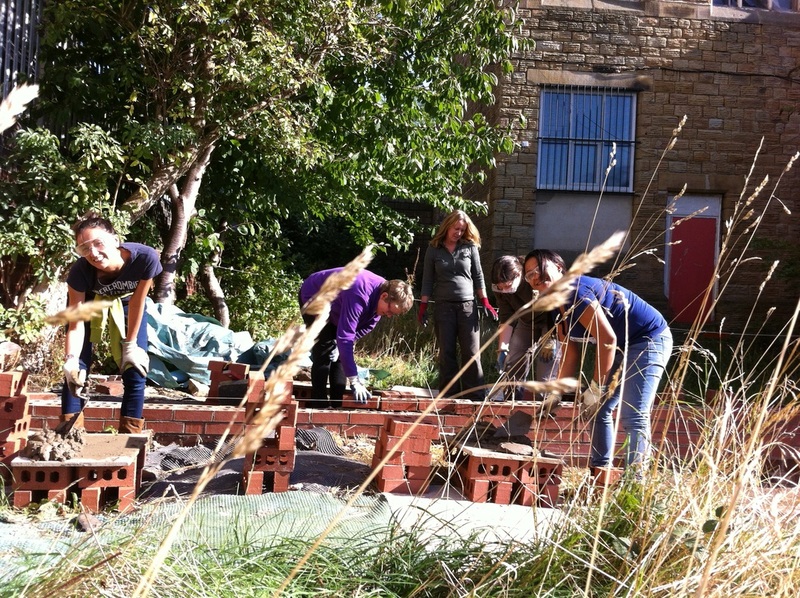 The project, funded by Sheffield City Council, entailed the volunteers preparing the site, laying the foundations and constructing a low wall in the garden, improving access and safety.